Looks good and seems pretty solidly made. The cable supplied is the flat type which is a good touch. I've used it for 3 days so far and it's still charging my phone. Just be advised this isn't a pocket option. It's about the size of a Paperback book and it's pretty heavy. It's going to live in my grab bag or daysack. This is just everything you hope it is. Mine came boxed, sealed, clearly new condition, works really well fast charging my Samsung Note 4 with a 2m long cable! Very happy with my purchase. Takes over 10 hours to reach the fully charge,wchich is absolutely redicelous! 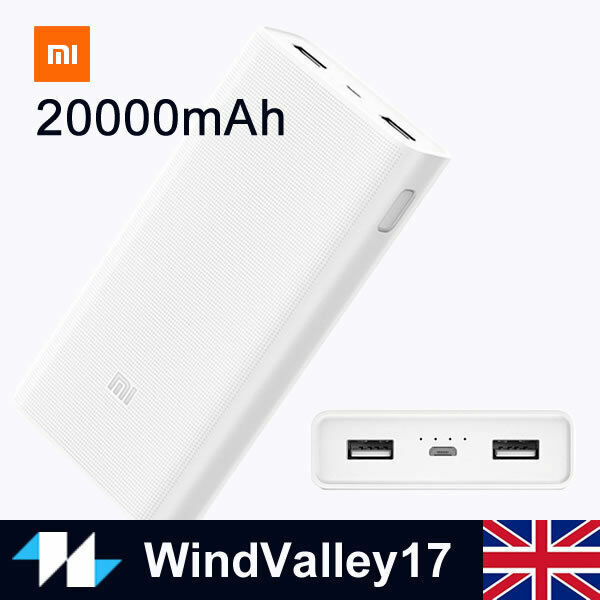 !but it does it's job at the end ,quick 3.0 charge is brilliant,it fully charges my S8 just over an hour,as genuine Samsung charger and it does that three times before the bank goes flat..plenty of power for a long trip without worries of not having phone charger!Definitely recommended product,but Xiaomi must work on the charging time,because at the moment it's just not acceptable..
Bought for a festival I was working at. Takes a long while to charge (6 hours) but that doesn't bother me. It certainly packs a punch. It was able to charge my android phone fully and also a vape mod with 3x18650 batteries in while I slept and it only went down by 50 Percent. For the price I would highly recommend. Feels sturdy too.